Deposits in Greek banks have declined by around €7.6 billon in February as customers started pulling out their money with fears growing the country may possibly exit the eurozone. Private and business deposits dropped to €140.5 billion in February, which is the lowest level in 10 years, data from the Bank of Greece showed Thursday, according to Financial Times. The withdrawals were lower than in January. About €20.4 billion was pulled out in the two months before Athens reached an agreement with the Eurogroup to extend its €172 billion bailout until June. The standoff and failure to reach agreement between Greek government and the eurozone creditors accelerated capital flight. Almost €800 million was being withdrawn from Greek banks every day before the extension deal was reached, according to EU officials. Meanwhile, the banks depend entirely on the European Central Bank emergency loans for liquidity, as does the government for public funding. It was massive withdrawals that forced the Greek government to push towards an extension deal, Dutch Finance Minister Jeroen Dijsselbloem told the Financial News. 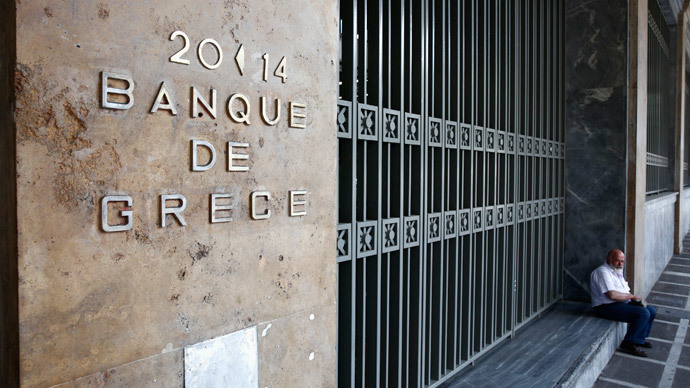 Deposits returned to the banks after the deal was reached last month, Greece authorities said. However, growing fears that Athens was running out of cash to pay its bills have triggered withdrawals again in recent weeks. While EU authorities are trying to keep Greece in the single currency block, the risk of a serious political accident that could see Greece out of the euro is growing. The European Central Bank increased the emergency funds available to Greek lenders by $1.1 billion to $77.8 billion on Thursday, in an attempt to avoid the so-called ‘Grexit’. The Greek government has €463.1 million of IMF loans to be repaid in early April and another €768 million falling due in May. Greece needs to show by Monday it can deliver detailed reform proposals to get the next €7.2 billion tranche in bailout funding. The ECB would have to end its practice of emergency loans allowing banks to fund their everyday operations if the withdrawals increase in a way that Greek banks are deemed insolvent. Greece then would have to start printing its own currency.